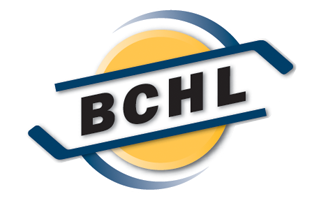 Grizzlies captain Alex Newhook’s 30 points are good for second in BCHL scoring. They have one of the historic names in B.C., even Canadian, hockey history. But this has not been a vintage season in the B.C. Hockey League for the Trail Smoke Eaters. Trail trails the Interior Division at 7-8-4 but are still within hailing distance in the closely bunched standings. 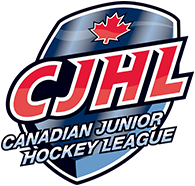 “Trail is in a tight race in a tight division and they will be ready to go,” warned Victoria head coach and GM Craig Didmon. The Grizzlies, who lead the Island Division at 12-7-1, meet the Smoke Eaters tonight at The Q Centre before closing out the weekend with a Sunday matinée against another team below .500 in the Island Division rivals Nanaimo Clippers (6-12). “Both Trail and Nanaimo are coming in with something to prove,” said a wary Didmon. Grizzlies forward Alex Newhook, projected for the first round of the 2019 NHL draft, goes into the weekend one point adrift of the BCHL scoring lead, held by former Victoria Royals forward Ty Westgard of the Surrey Eagles with 31 points. “We want to continue creating offence,” said Didmon, whose Grizzlies are the second-highest scoring team in the BCHL. It is Family Weekend, with many of the Grizzlies players’ parents in town, which creates issues of its own. “The players are excited to see their families,” said Didmon. ICE CHIPS: Head coach and GM of the Smoke Eaters is Jeff Tambellini, who came out of the BCHL to star in the NCAA with the University of Michigan Wolverines, before playing in the NHL with the Los Angeles Kings, New York Islanders and home-province Vancouver Canucks.